The side wall features UPF 50+ fully silver back coated durable fabric offering you good protection from sun rays. It's quick and easy to attach and the bands/clips hold it securely. It's ideal to use with the canopy, particularly when it's windy or at the end of an evening when the sun is at a sharp angle. 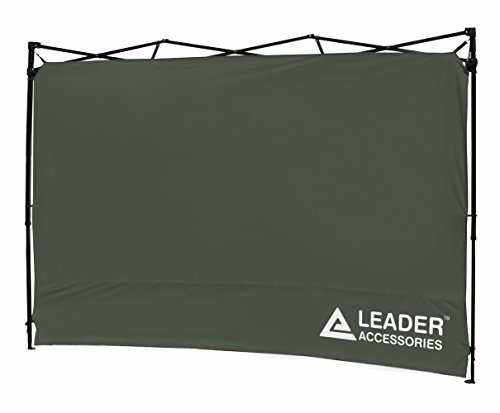 If you have any questions about this product by Leader Accessories, contact us by completing and submitting the form below. If you are looking for a specif part number, please include it with your message.